Like the Christmas tree, various plants characterize Chinese New Year, and mark the beginning of spring, bringing prosperity, luck, happiness, and health to the family. The most popular, the plum blossom, symbolizes endurance and growth. 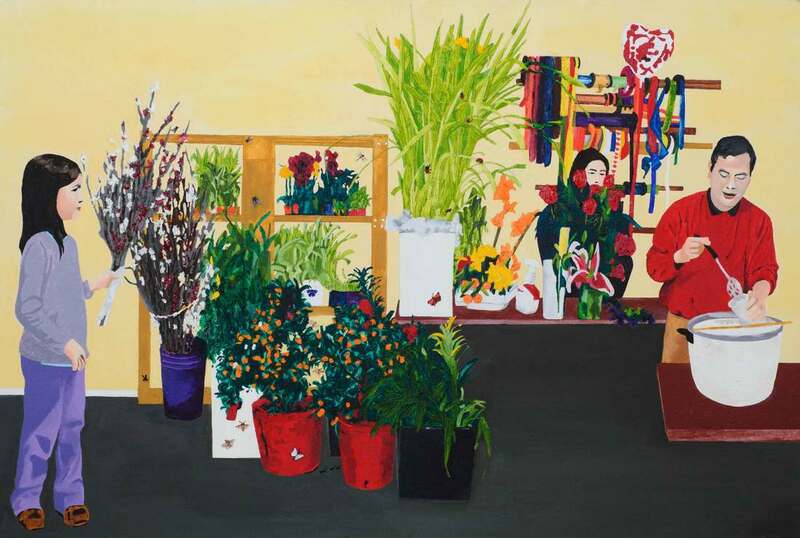 Thank you for your interest in buying the painting "Mei Wo's Florist." As soon as I receive this request, I will contact you to confirm order details and total amount of purchase.